Earlier this month, after moving close to the Scarborough GO Station, I was exploring the area with Michelle when we came across the Fu Yao Supermarket at St. Clair and Midland. I found Lam Kee BBQ Restaurant in that same strip mall complex, tucked away in a corner next to a dollar store. it’s not at all visible from the main street – you have to drive into the plaza to find it. I took a photo of the restaurant with my iPhone as a reminder to check it out online before coming out to try it. On one hand, I was hoping that Lam Kee would be at least a satisfactory alternative to trekking all the way to Chinatown for Chinese food (even if it is only a twenty minute ride on the GO train to get downtown), but on the other hand, I was hoping not to have such a good temptation within walking distance from home… Chinese food: my achilles heel! I did a quick online search when I got home that night but wasn’t able to find very much information about Lam Kee. What I did find mentioned that the food was decent, simple and cheap but nothing spectacular, similar to the decor of the restaurant… So I wasn’t expecting Lam Kee to be anything stellar, but still worth a shot. At the very least, I was curious. About a week later, before making the fifteen-minute walk from our new home (on a relatively cool evening) to try it out, I called Lam Kee to make sure They’d still be open when we got there and I took the opportunity to ask some quick questions about their menu. Unfortunately, they were all out of BBQ Duck for the evening (it was after 8pm on a Friday night ) as well as BBQ Pork. However, they still had roast pork and BBQ chicken they said, as well as everything else on their menu. I was really craving BBQ duck though, so we almost didn’t go, but I figured I could settle for roast pork. The Roast Pork on Rice ($5.50) was the first of three dishes to arrive, and a steal of a deal for the price. The rice was a little dried out in some parts and the pork skin was thick, chewy and not as crispy as it should be, but the excellent flavor made up for the shortcomings in texture. Next to arrive was the Beef in Oyster Sauce on Chinese Broccoli ($8.25) which was also a very large portion for the price. (Actually, Michelle wasn’t very hungry so just the roast pork would probably have been enough for the two of us.) You could tell that the beef was super fresh, but I was more surprised at how tender the beef was – for the price, I was expecting a tougher cut of beef. The dish as a whole was a little too heavy on the garlic, but I’m being picky. The Chinese broccoli was cooked perfectly though with just the right amount of crunch. Very tasty. Oddly, our small order of Won Ton Soup ($4.50) was the last to arrive – in fact, it arrived so late into our meal that I had already forgotten I ordered it! You can see from the photo that it was a very large portion for the price. The wontons were definitely made in-house, which I appreciated, but the shrimp weren’t cleaned properly and you could see some veins in the shrimp when biting through the wontons. There was also lots of pepper in the wontons, but I was trying to stay open – they were very flavorful, even if it was very different from any other wontons I’ve had. After a couple more bites they started to taste a little sweet and I noticed some sort of seasoning in them that reminded me of the seasoning that they put on BBQ duck…?… But after a couple more bites it was clear that the excessive amount of pepper was really getting in the way and was preventing me from enjoying the wontons. It was an interesting bowl of Won Ton Soup at first, but not something I would order again. The decor at Lam Kee was very simple indeed – it was clean and comfortable, but not much more than a room full of tables and chairs on a vinyl floor. While Lam Kee isn’t going to replace my cravings for Chinatown restaurants anytime soon, it’s unbelievably well-priced for very decent food. Being so close to home, I can see myself making the walk on a regular basis… Uh-oh! Update ( October 8, 2012 ): I went back to Lam Kee for lunch the other day and had some BBQ duck on rice. It was a little salty and didn’t come with any plum sauce to offset the saltiness, but it was good otherwise. For what it’s worth, I also noticed that the floors were white ceramic tiles, not vinyl like I remembered. 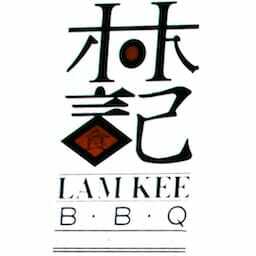 Lam Kee BBQ Restaurant was published on Friday, September 28, 2012 at 1:11pm EDT by Daniel Menjívar and last updated on April 11, 2018 at 9:30pm UTC .